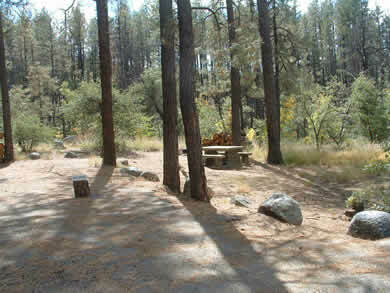 Just a scant few miles south of Prescott, Upper and Lower Wolf Creek Campgrounds offer peaceful well spaced campsites. Fishing is available a few miles away at goldwater lake. Nice hiking trails are available for those looking for some exercise either by foot or bike. Group Camp is available at Upper Wolf Creek Campground just west of Lower Wolf Creek Campground. There is a horseshoe pit and a volleyball court located at Upper Wolf Creek campgrounds. 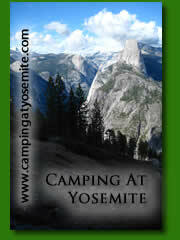 There is a 100 persons maximum at the group campsite along with a 30 vehicle max. For persons with impaired hearing call the TDD line toll free at 1-877-833-6777. Drive south out of Prescott on Senator highway for 7 miles then turn right on FR 101 to the campground.